We are pleased to introduce ourselves as a foremost & trusted importer and supplier of a quality assured range of Water Beds & Smart Care Waterbeds. These products are sourced from some of the leading manufacturers based across the country and are offered to clients in different specifications & models. Along with this, we also offer these water beds to clients at economical prices and in a timely manner. A vinyl mattress containing water which is surrounded by four wooden boards, approximately 2" thick by 10" tall. The wooden frame can be decorative and be raised off the floor by using pedestal or riser and deck boards. A softside waterbed conists of a vinyl waterbed mattress surrounded by four foam sidepieces and covered in an upholstered fabric. This gives the bed a look similar to an innerspring bed. *Lightweight And Leakproof. 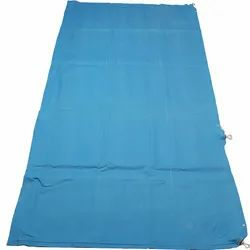 *Prevents Pressure Sores For Patients Spending Long Hours On Bed. Looking for Water Beds ?